Today's carpets are designed to hide soil and even repel it, thanks to advances in chemical treatments. However, carpet fibers can still trap and hide dust, dirt, bacteria and other pollutants. Over time, that can lead to matting and a general deterioration of your carpet. Make sure the filtration bag is enclosed and adequately limits particles from re-circulating into the air. A Rug can be a purchase for a lifetime and for generations if cared for properly. 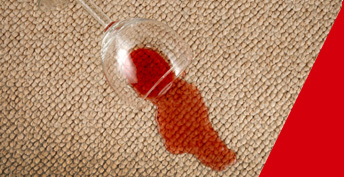 The information contained herein offers simple, basic tips on cleaning and protecting your rug. These Rug Cleaning Tips are merely suggestions and you may wish to contact your Rug Cleaning professional for advice. Depending on foot traffic your rug will need periodic washing by a Rug Cleaning professional. When stains occur, dilute with water. Do not soak the area. Work quickly; do not allow stains to set. Blot from the edge of the spill towards the center using a clean white paper towel or cloth. Avoid as much as possible rubbing the area or pushing the stain further into the pile. With the appropriate care, your upholstered living room, dining room, and bedroom furniture can provide many years of splendid use. By carefully following the upholstery maintenance, cleaning, and stain removal information provided below, you can greatly extend the lasting beauty of your home living room, dining room, and bedroom furniture. 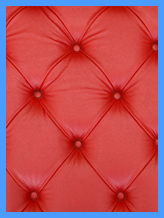 Follow the simple guidelines below to keep all your upholstered furniture looking like new. To avoid fading, keep upholstered home furniture away from direct sunlight. Vacuum upholstered furniture as often as possible. Even if your home furniture has seen little use, the abrasive action of dirt and dust particles can wear the fibers of your upholstery fabric. For high-use furniture, it's a good idea to frequently beat the cushions and then vacuum and rotate them. You've just spilled a glass of wine on your living room sofa - what do you do now? It's important to act promptly but not to panic. Follow these guidelines to control a spill and prevent a stain. Gently lift the substance from the upholstery with a spoon or dull knife, scraping carefully toward the center of the spill. Treat any wet residue as a liquid spill. If residue remains, see the stain removal guide below. Adding any liquid to a normally dry substance, such as ashes, may cause a permanent stain. Vacuum, beat the area with a ruler or similar implement, vacuum again, and then use the adhesive side of masking tape to remove any residue. If residue remains, see the stain removal guide below. Check the manufacturer's label for any cleaning instructions and/or fabric cleaning code. blotting firmly with a dry paper towel to soak up the liquid after each application. drying. Dry from the outer edge of the affected area toward the center.